This suit is for our wedding it came on time and it is better than the picture. The pants need to be tailored but the feel is awesome. Can't wait for our wedding in July. 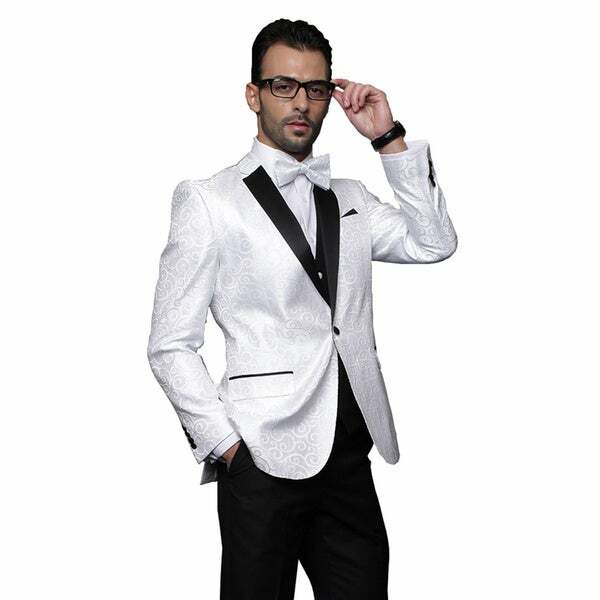 Head to the dressiest of occasions knowing you look perfect in this three-piece vested tuxedo that features an embellished white dinner jacket with black lapels and trim. This tux features a slimming, modern fit, and it comes with a white bow tie to complete the outfit to perfection.